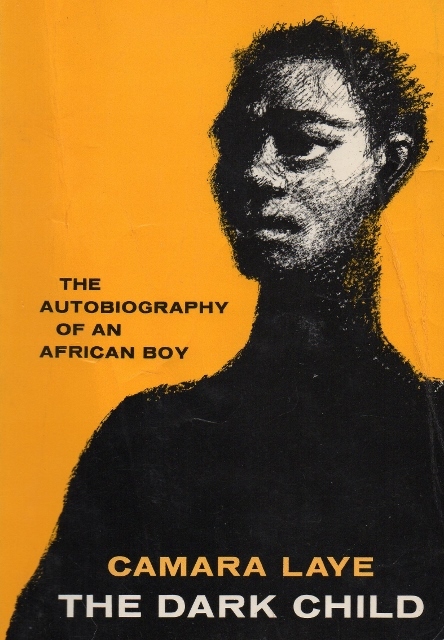 One of the most striking things about this 1953 autobiographical novel written by Guinean author Camara Laye is how familiar it feels. I know nothing about French Guinea, where Laye grew up, but this book is not so much about Guinea as about childhood—a specific childhood that happens to be a Guinean childhood. It’s not a book that teaches outsiders about Guinean culture or politics, although readers can pick up some information by being immersed in Laye’s own experiences. We are with him as he goes to school, visits his grandmother, and gets circumcised. Many of Laye’s experiences would be familiar to children from all over. For instance, there’s his quite funny account of getting bullied by older boys at school and then being appalled and embarrassed at his father’s attempts to intervene. There’s innocent childhood romance, worries about fitting in, and intense studying for exams. It’s a childhood, not so different from any other childhood. And here was Kondén Diara—but was he a man? Was he an animal? Was he not rather half-man, half-animal? My friend Kouyaté believed he was more man than beast—here was Kondén Diara leaving the dim world of hearsay, here he was taking on flesh and blood, yes, and roused by Kodoké’s tom-tom was prowling around the town! This night was to be the night of Kondén Diara. This ritual was almost as much a mystery to Laye as it would be to many readers, and as Laye learns the secret of Kondén Diara, so do we. But much of the time, Laye, who wrote this while studying in Paris, does not turn this book into a guide to French Guinea for European readers. Many aspects of his life, such as the presence of multiple wives in many families, are just presented as part of the background of his world, never explained or expanded on. It’s a child’s-eye view, and such ordinary matters do not require comment. I hesitate to say what these powers were, and I do not wish to describe them all. I know that what I say will be greeted with skeptical smiles. And today, now that I come to remember them, even I hardly know how I should regard them. They seem to be unbelievable; they are unbelievable. Nevertheless I can only tell you what I saw with my own eyes. How can I disown the testimony of my own eyes? Those unbelievable things. I saw them. I see them again as I saw them then. Are there not things around us, everywhere, which are inexplicable? In our country there were mysteries without number, and my mother was familiar with them all. It seems like here Laye is writing for a European audience, attempting to “translate” his culture for those who won’t understand it. But I get the feeling that he’s also trying to translate it for himself. After years of studying in France and being away from his people, perhaps he was starting to doubt what he saw as a child. The questions he asks above, is he asking them of himself as well as the reader? When Laye writes of his childhood, there is sometimes a feeling of loss, moments where it isn’t clear that going away and getting educated is the best choice. That wistfulness could apply to the distance he feels from the magic of his ancestors. He talks of how the world moves on, especially for him, and maybe looking back on his past is a way to reclaim that lost magic—literal magic or the magic of innocent childhood. The Dark Child is short and enjoyable, although it took me several chapters to get into it. The plot is episodic, which made it easy to put down without feeling a strong urge to pick it back up. But once I got used to it, it was fine—and writing about it made me appreciate it even more. Funny how that happens. Once I look for something interesting in a book, I often find it. This is just the sort of post I read book blogs for. Someone finds a terrific book that most of us have never heard of, even an author we’re totally unfamiliar with, makes the case for it and now we can add it to out TBR lists. 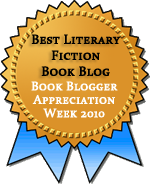 Reading blogs brings so many worthwhile books to my attention that I’d never find on my own. I suspect I first heard of this from a book blog, although I don’t know which one. It turns out that Jenny posted about it a few years ago, but I’ve had the book for longer than that.